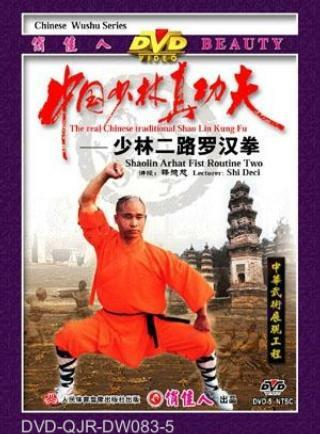 Arhat Fst is the leading form in the Shaolin series. This form is divided into eighteen routines, each of which has unique features. Routine One is an imitation of a bad-tempered arhat with an evil mind. Routine Two is an imitation of cunning. It is performed fast one second and slowly the next. Its attacks and feints are so difficult to predict that it is difficult for the enemy to defend himself.